LoccaDiamond, the girlfriend of a 28-year-old Nigerian student, Kennedy Toomwabwa Dede who was brutally murdered in Egypt, paid a touching tribute to him by tattooing his name on her arm and finger. Dede was kidnapped by a gang comprising of eight people, on Tuesday night, January 30. The suspects took him to the Çanakkale Pond, where they brutally attacked and and killed him. His body was recovered the next morning. See her touching tributes below, along with pictures of them together. 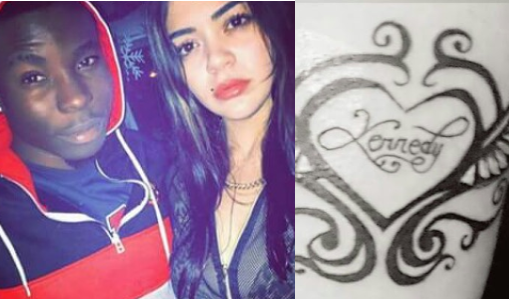 0 Response to "Photos: "Now you can stay with me forever" Beautiful girlfriend of Nigerian student murdered in Egypt tattooes his name on her arm and finger"